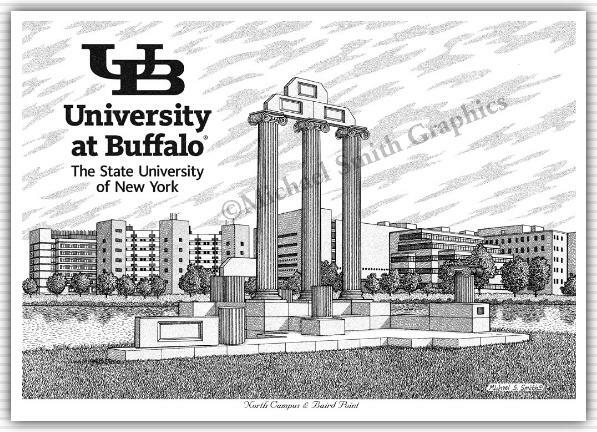 The University at Buffalo was chartered in 1846. The college expanded to the Town of Amherst in the late 1960's to form what is known as the North Campus. The drawing depicts the columns at Baird Point on Lake LaSalle.